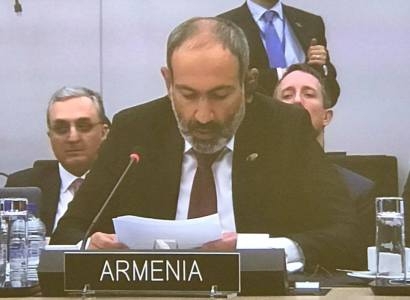 Armenian prime minister, Nikol Pashinyan, has called on NATO to send a message to neighbouring Azerbaijan that the international community will not accept any attempt to resolve the conflict in disputed Nagorno Karabakh by force. In an interview with Euronews, Pashinyan, who was swept to power after popular movement against his country's longstanding leader Serzh Sargsyan earlier this year, said he intends to maintain close ties with Moscow. Andrei Beketov, Euronews: "Mr Prime Minister, thank you for talking to Euronews at the NATO headquarters. First the general question: what is the Armenian government planning with NATO and what are your intentions regarding NATO?" 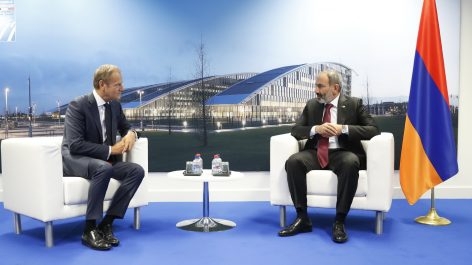 Nikol Pashinyan, Armenian Prime Minister: "You know, Armenia is a partner country for NATO. We are participating in two NATO missions - one in Kosovo, another in Afghanistan. This gives us (the) opportunity to participate in providing the international security. But we are member of the Organization of Collective Security treaty and we see in general Armenia in this organisation and this security system." Euronews: "Is Armenia going to stay a staunch ally of Russia or are you moving closer to NATO away from Russia?" Nikol Pashinyan: "We will stay a close ally of Russia and we hope to develop our relations with Russia - but with NATO and Western countries and European Unions and United States as well. So we aren’t going to make a U-turn in our foreign policy." Euronews: "Do you think NATO can help Armenia over the Nagorno Karabakh conflict?" 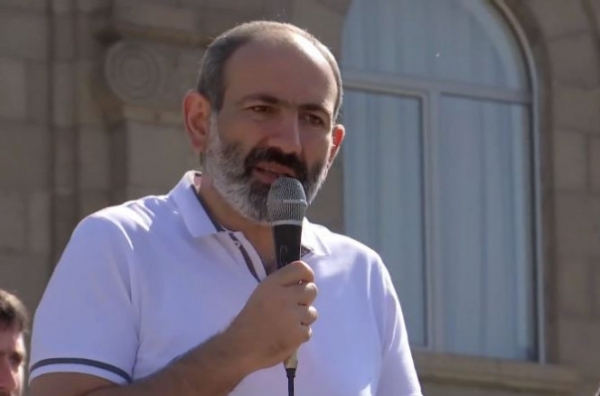 Nikol Pashinyan: "This conflict should be resolved only through (a) peaceful way. Unfortunately from first days of becoming Armenian Prime minister I see that Azerbaijan is increasing its aggressiveness towards Armenia. I thank that now we see the situation changing because this aggressive policy is not only against Armenia, I think it's also against democracy because now Armenia is a really democratic country. "And I think that Azerbaijan has a fear that its own people will be inspired from the Armenian processes to initiate in Azerbaijan democratic changes. It would be very useful if NATO will send strong message to Azerbaijan that any attempt to solve (the) Nagorno Karabakh conflict using force will meet strong reaction from the international community." Euronews: "I heard from the Armenians and we see from outside high profile corruption cases in Armenia. What happens if all corrupt officials would be in prison?" Nikol Pashinyan: "For us it's very important to fight against corruption but it's very important to do it strongly in the framework of law with protection of human rights. I was a political prisoner in Armenia, and it would be big humiliation for me if in Armenia we would have new political prisoners." Euronews: "How would you proceed with your reforms?" Nikol Pashinyan: "We have managed to make big economic changes. We have establish level playing field for all the economy players. We hope to make (the) Armenian economy more attractive for foreign investments. We will make stronger Armenian democracy with help of our international partners or without help of our international partners."